John T. Beliveau Attorney - John T. Beliveau Biography | National Legal Research Group, Inc. B.A., Liberal Arts, with Honors, with Special Honors in History, University of Texas, 1994. J.D., University of Texas at Austin Law School, 1997. Member, Texas Bar. Prior to joining our firm, John practiced in Austin with the firm of Kiester & Lockwood, trying civil cases for both plaintiffs and defendants and handling a variety of corporate and real estate cases. Since joining Texas Legal Research as the founding and managing attorney, John has completed several thousand projects for attorneys across the state. 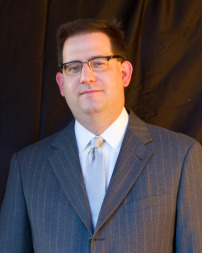 His specialties include civil trial and appellate procedure, construction law and liens, and property law. Over the years, John has authored literally dozens of briefs in the Texas Courts of Appeals, the Texas Court of Criminal Appeals, and the Texas Supreme Court. In addition to legal research and writing, John also regularly participates in legal clinics for assisting low-income Texans. He enjoys reading, cooking, and watching the Boston Red Sox. See a sample of John's work.